Islamic tribal war erupts in Libya once again……. – The Tundra Tabloids……. Islamic tribal war erupts in Libya once again……. 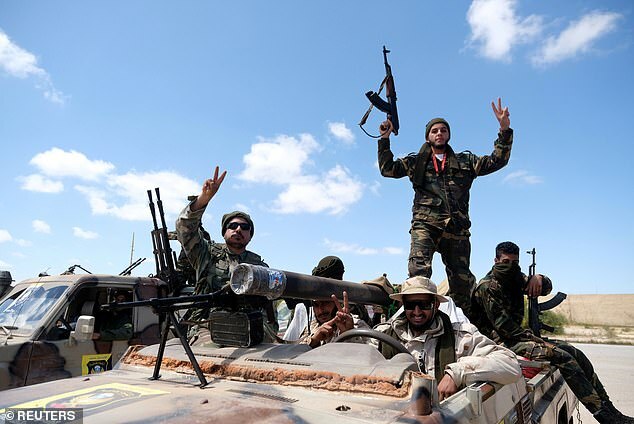 Libya has erupted into civil war as the rebel army commander Khalifa Hafter launched airstrikes on the southern suburbs of Tripoli in defiance of a UN truce. It is the latest stage of a four-day offensive by Haftar’s force, which backs a rival administration in the east, against the home of the internationally-recognised Government of National Accord (GNA). It has so far claimed 21 lives. The airstrikes have prompted a ‘Volcano Of Rage’ counter-offensive by the GNA, with a spokesman claiming advancing government forces had already captured several of Hafter’s armoured vehicles. Previous Post Previous Post Australia: Baby murderer who sued state for lack of halal food in prison now demands $20 000 for lack of toaster…….